I enjoy working with my hands and making useful things from salvaged and recycled timbers is immensely satisfying—and a great way to think through tricky aspects of ecological research that crop up during the week. 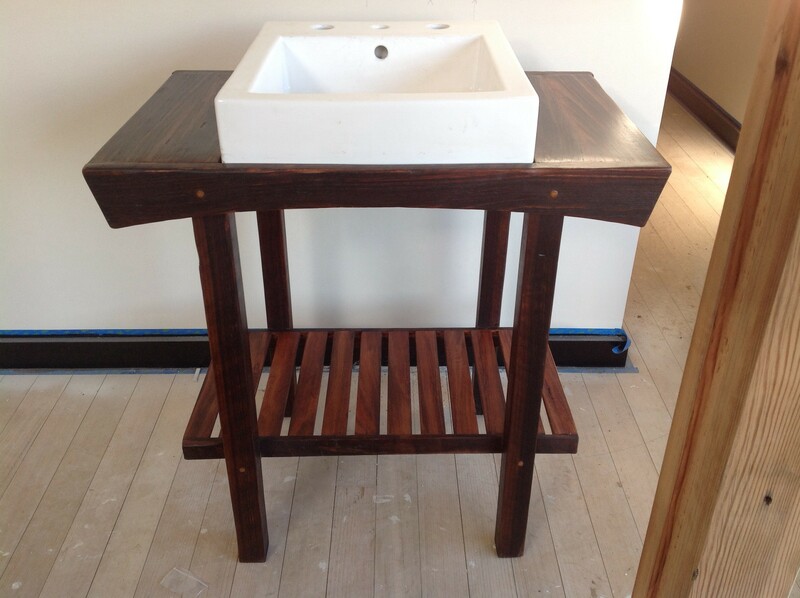 Ensuite vanity was made using two old floor joists (possibly stringybark) with olive dowels. 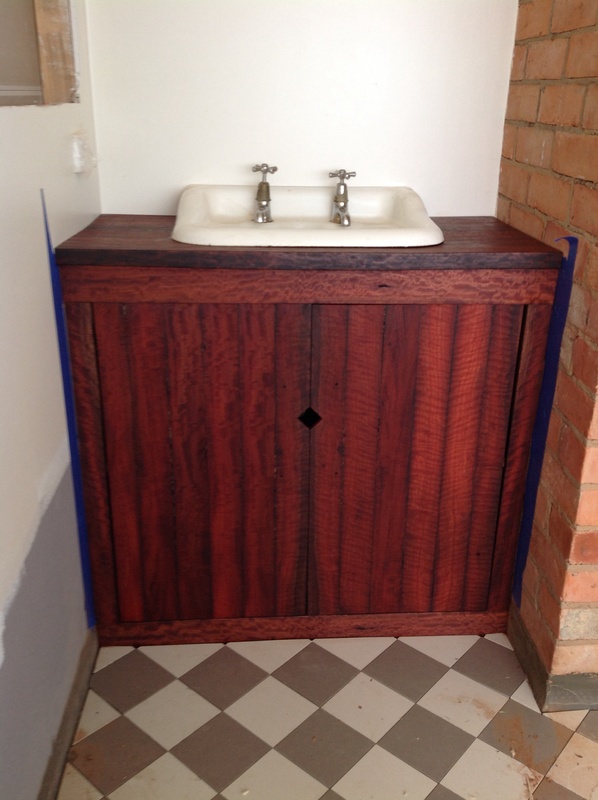 Most of my work uses old construction timber, exemplified by the bathroom vanity made from a single roofing purlin. 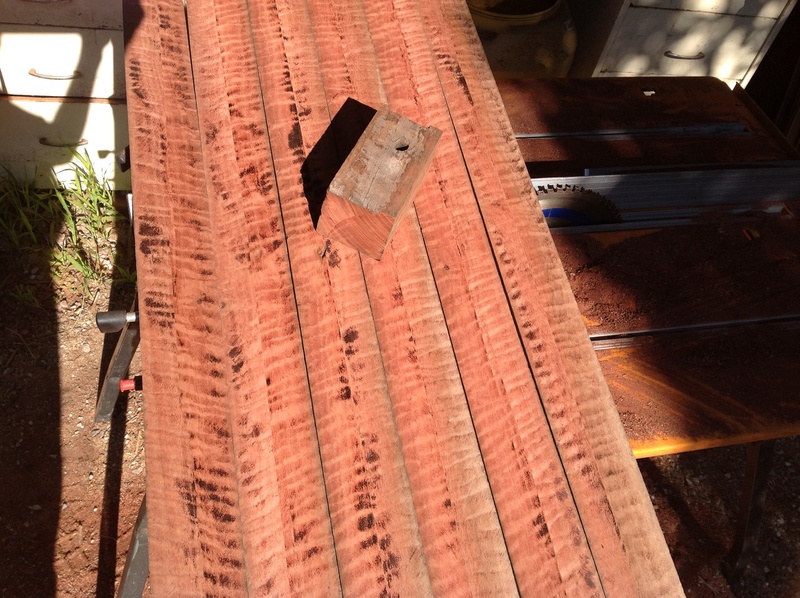 I found the 4 x 4 length of redgum while demolishing part of our house, noticed the fiddleback grain and tried ripping into into a series of boards. This really highlighting the grain and, with some creative slicing, I was able to obtain enough usable boards to make the vanity and matching medicine cabinet, finished with tung oil and carnauba wax. 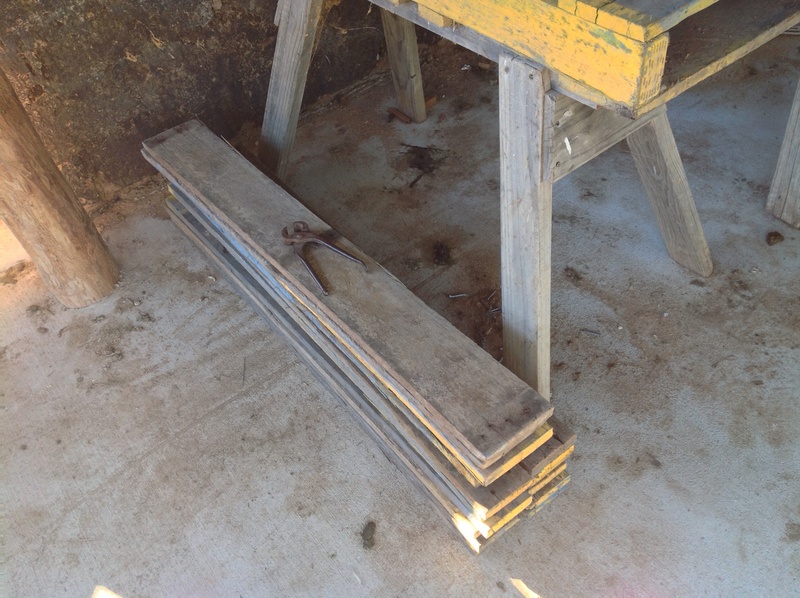 Section of the original 4 x 4 with a series of eight boards milled from a single length—even roughsawn, the grain is still remarkable, hidden away for almost a century in our roof! 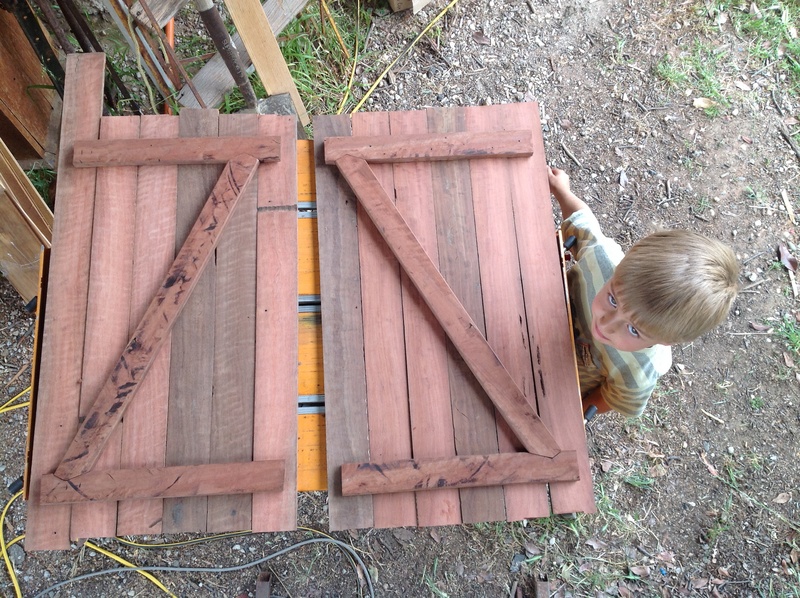 Charlie assisting with assembly of the doors, using traditional bracing joins. 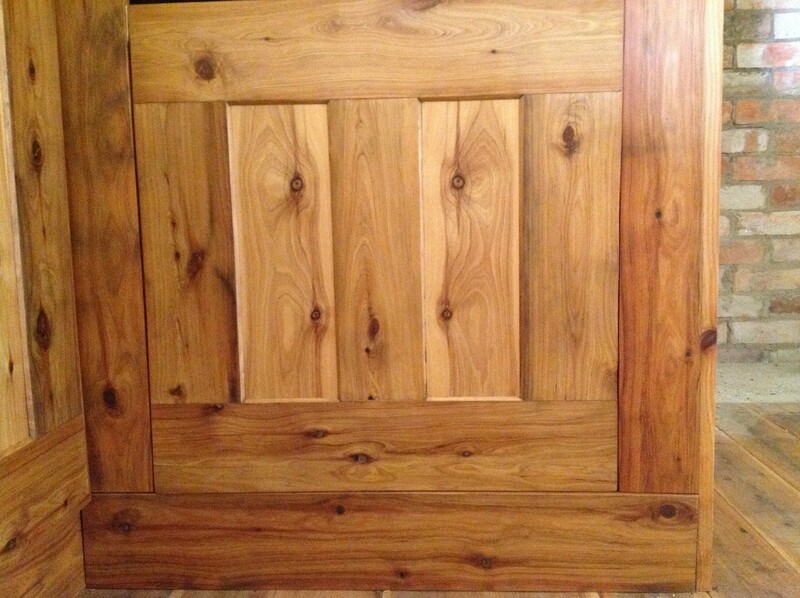 All the kitchen cabinetry is made from old Callitris (Murray Pine) floorboards, the doors featuring bookmatched panels with mirror-image shapes (like this ‘elephant face’) made by the knotholes. 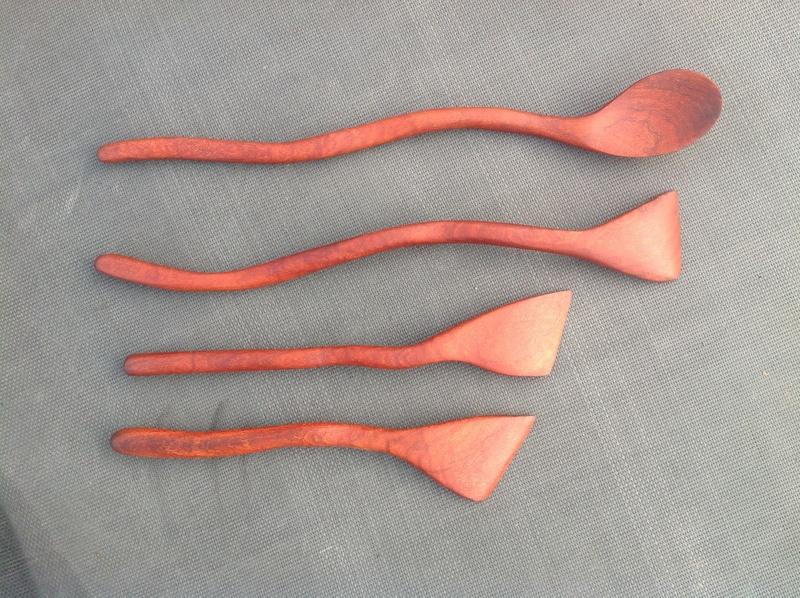 As well as furniture, smaller things like wooden spoons (this set made of beefwood, Grevillea striata) are also fun to make and make great presents for friends and family.